Developed for the 2016 Langley Cranberry Festival, our Cranberry Liqueur has become our best selling liqueur. Once you try it you’ll understand why. Use it in your next Cosmopolitan or Crantini instead of cranberry juice. Or just sip it straight-up or on the rocks. And when thanksgiving rolls around you can’t find a more suitable holiday aperitif than Dragon Mist Cranberry Liqueur. Could Baijiu be the new Tequila? 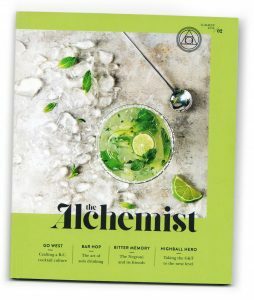 This excellent article by Alexandra Gill in the Alchemist answers this and other questions about the world’s most consumed spirits — Baijiu. Find out what Henry Kissinger and Dan Rather had to say about baijiu; how it’s made — both traditional and more modern methods; and some of Sherry Jiang’s master distiller methods. Cheers! or should I say “gangbei” (bottoms up)? !